My college is one of the oldest institutes in NCR. Faculties in the institute are highly experienced and educated. Good hostel facility is provided to the students with all the facilities like mess, laundry, transport, gym etc. It will cost around INR 85K per year. .Institute provides 80% placement opportunities to all the students scoring good marks in the exams. Few companies are NIIT, Airtel, NDPL, Lanco etc. Admissions to the courses are based on entrance exam score. It is my dream college and when my dream came true by getting admission in this college I was very happy. My college has very good infrastructure and as maintained the campus area beautifully. The lectures of this college used to teach us very well in a very understandable manner. The college also provided us with laboratories where we get practical learning along with regular class room learning. Many companies visit the college for campus recruitment and aimed to place the students in top positions in top notch companies. College used personality development class to enhance our skills and confidence. My college also encouraged the students in various co-curricular activities by conducting various events and festivals. One drawback was that, college dint provide us with any internship facilities. IEC College of Engineering and Technology Greater Noida, has a well established infrastructure which is good to big scale expansion with facilities and resource. It organizes short-term intensive courses, conferences and seminars on current technological developments. 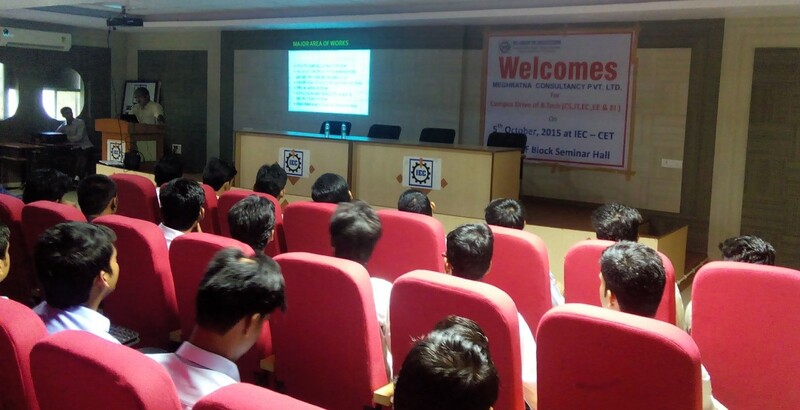 Are you Interested in " IEC College of Engineering and Technology, Greater Noida"? Please provide the following details.